I've been celebrating tasty recipe ideas this week on my blog. Have you checked and of them out? 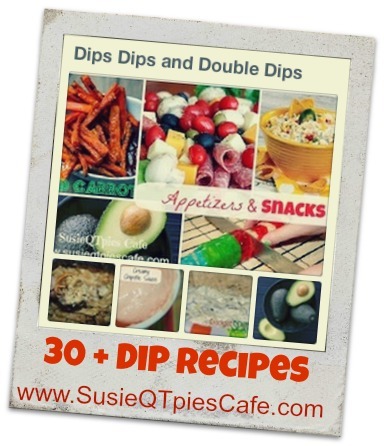 This week for the Pinterest party, I'm featuring my Dips, Dips and Double Dip Recipes. They are all under my Appetizer Recipe section. Check out my Appetizer and Snack Recipes here on my blog. If you want even more new Dip recipes, check out my Dips, Dips and More Dips Pinterest Board. Do you have any favorite Dips or appetizers? If you have blogged any recipe feel free to leave the link below and I will pin it to my board. I would love for you to share your favorites, favorite Pinterest board and/or Pinterest ID so that I can follow you back! 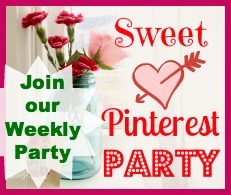 In the Pinterest party, you can link up whatever you want!